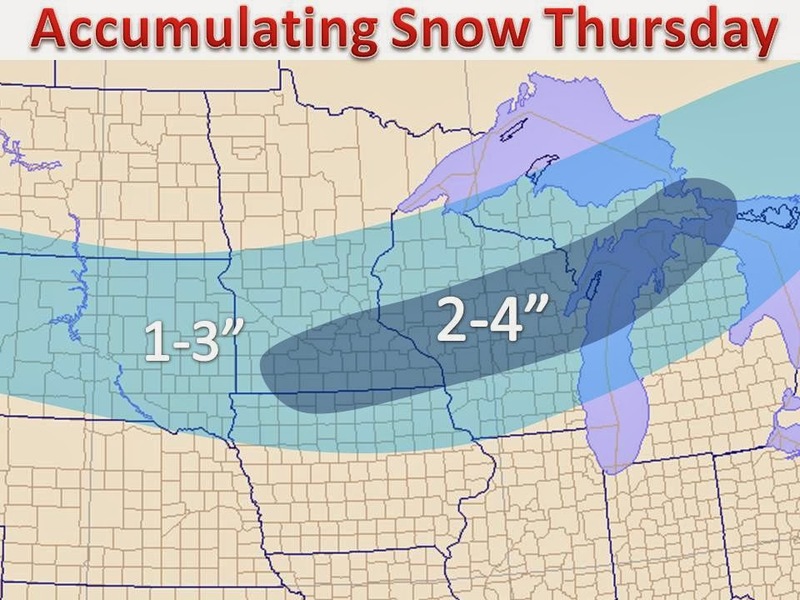 An Alberta clipper will drop "plowable" snows across parts of the Midwest on Thursday. 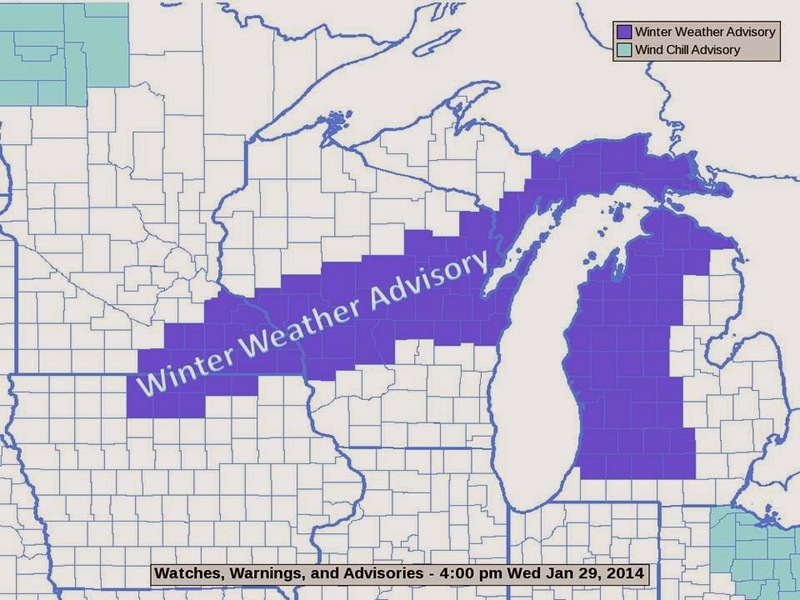 A broad band of 2-4" will set up from southern Minnesota to the UP of Michigan. After the arctic airmass in place this week all of the snow will be on the light and fluffy side. Snow tapers off by Thursday night. Another storm system will bring accumulating snow to points further south. It has the potential to drop 3-6" of snow on Saturday in areas such as Chicago. More updates on that to come.